It is often said that hunting is man’s most exhilarating sport and that statement is pretty much on the money. The adrenaline pumping through the veins mixed with the intensity of focusing on a live animal is heart stopping. Deer is one of the most hunted animals and also one of the most difficult to shoot. The slightest of movements or the faintest of sounds could be the difference between a clean shot and fruitless hunt. But ever too often, unprepared hunters are caught unawares of their surroundings and find themselves lost in the forest or woods. Although their instincts play a vital role in getting out safely, there are some other tools that could make the great escape a lot easier. 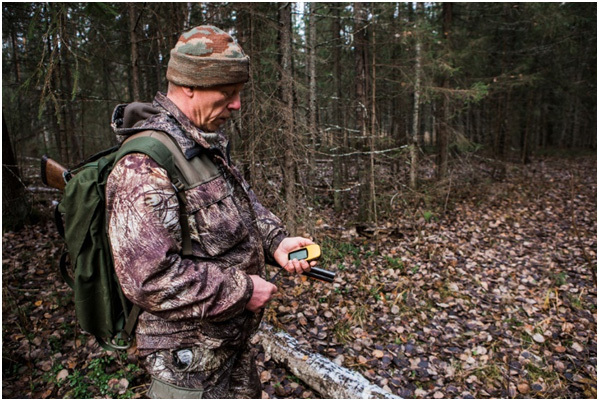 Let’s take a look at what to use when you are lost in the forest while hunting deer. Humans can live without food for a couple of weeks, but without water, their chances of survival begin to dwindle down rapidly. While there are plenty of water sources in the forest, it is important to filter it before drinking as it could contain dirt, dead insects, animal dropping, and other impurities. One of the easiest filtration systems you could use is a piece of cloth. Just wrap the cloth around the mouth of a container and slowly fill it. The tiny fibers in the cloth will keep out most impurities and leave you with water suitable for drinking. If you can’t use cloth, find a piece of bamboo or a hollow log and let the water sit for a couple of hours till all the dirt settles at the bottom. To get fresh water, you could even soak up the morning dew on plants and grass using a cloth and drink that directly. One might think that with so much greenery around, finding food would be as easy as pluck and eat, but that could lead to some serious problems. Mother nature has a way of hiding our weaknesses in the most inconspicuous of places. Like the Oleander plant and its beautiful flowers. One bite of this deadly flower and you could end up in a coma. It’s always best to trust the trees and plants you know like fruits and vegetables. Many berry plants are poisonous, but if you find one that you are certain is safe to eat, store as much as you can. It is the same with flowers and fruits. If the forest you are hunting in has a stream running through it, set a trap for fish and other aquatic animals. Ever since the Neanderthals mastered fire making, it has been an integral part of any survival routine. Not only does it provide heat, light, and protection from wildlife, it is used for cooking meats, fish, and vegetables. It is also a great way to get rid of any harmful impurities in the collected water by boiling it. 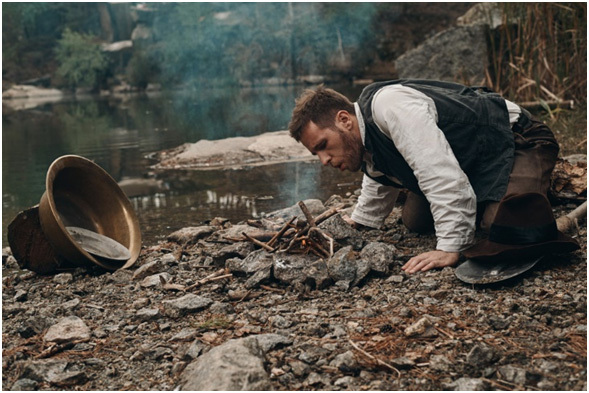 If you find yourself stranded in a forest, the art of preparing a fire could give you that hope to make it through the night and look for civilization in the morning. Collect as much wood as you can to ensure the fire lasts through the night. Look for dry stones and will help you create a spark needed to start the fire. Or if you have perfected the twig-on-twig method, keep a lot of dry grass or hay to hold the ember and light the fire. The importance of having proper protection in the form of warm clothing out in the wilderness could not be stressed more. Insulated clothing ensure that even when a fire is not available, your body temperature remains at a normal level. A heavy, waterproof jacket is a must, along with other clothing beneath it. If there is a situation that requires you swimming through cold water, remove and store all your inner wear in a water resistant backpack and immediately put them back on once on the other side. It is important to carry a number of different tools that could help get you out of a sticky situation in the forest. A Swiss Army Knife and its plethora of attachments is a classic tool that can be used for things like cutting, clipping, digging, and even picking out last lunch from your teeth. 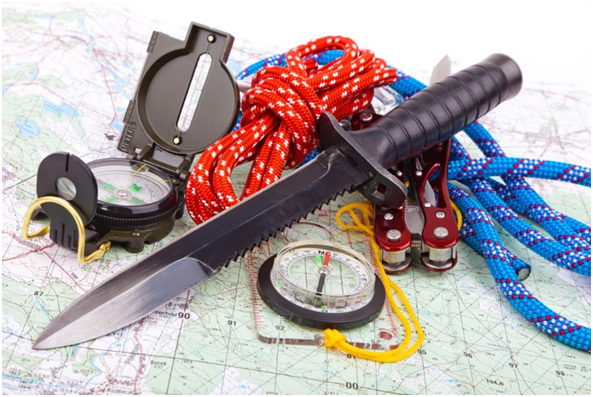 For bigger situations, a hunting knife or dagger work wonders. 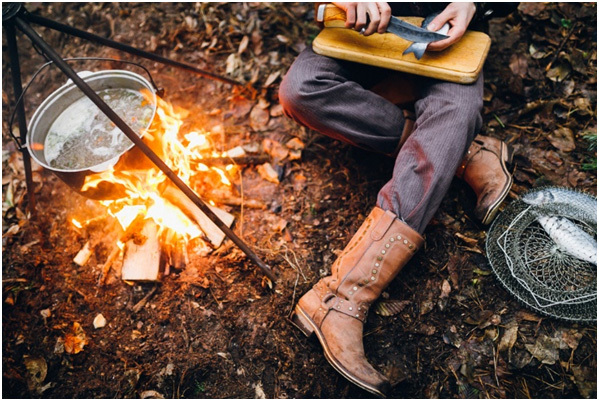 Whether it’s to cut away vines and branches or to prepare your freshly caught dinner, a knife goes a long way in helping you survive the wild. Out in the wild, insects are in abundance and they can be extremely harmful is not prepared. Carrying repellent is vital, but if forgotten, there are plenty of plants that can be used. Crushing leaves of certain plants and smothering yourself with it could keep away ants, mosquitoes, ticks, and other harmful bugs. A rangefinder for hunting purposes is useful for determining the distance between you and the animal you’re after and getting a good shot off. But it can also come in handy when checking the distance to a nearby mountain or a cabin in the distance. Going hand in hand with a rangefinder is a compass. Not only do you need to know the distance of an object, but also its direction. The forest is a dangerous place to be, especially at night. Insects are the least of your worries with bears, mountain lions, wild boars, snakes, and more calling it their home. Having a place to safely stay out of the way of these creatures ensures that you don’t become somebody’s dinner. If you know you’re in a place that doesn’t have animals like bears around, you’re safe to build a shelter on the forest floor. Gather as many branches, twigs, and dry leaves as you can and make a tent-like shelter a few feet away from the fire. If you can find trees with large horizontal branches, you could protect yourself from bears and mountain lions by securing yourself to the trunk and branch high above the ground. Sitting up and sleeping doesn’t sound too comfortable, but it is safe. This entry was posted in Year Zero Survival Blog and tagged backpacking, camping, fishing, hiking, hunting, outdoors, Preppers, prepping for survival, SHTF, survival, Survival gear, survival hacks, Survival Hunting: Know How, survival skills, survival tips by Guest Writer. Bookmark the permalink.